This season is all about seeking adventures in relaxed silhouettes, with fuss-free accessories. 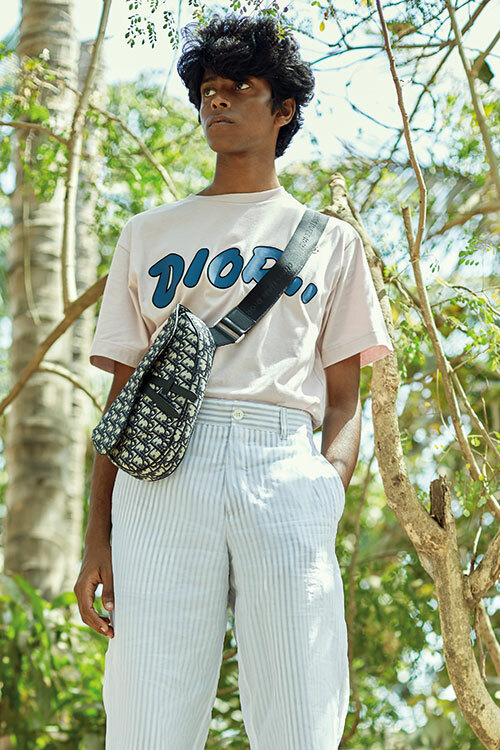 Verve welcomes the most covetable styles of Spring/Summer ’19 — crossbody bags, graphic-print coordinates, oversized ensembles, short suits and utilitarian wear…. Oversized jumper, from Huemn; trousers, from Zara; sneakers, from Dior Men; socks, stylist’s own. Style tip: Experiment with statement, voluminous silhouettes and team them up with structured pieces. If you want to invest in one piece this season, then go for an oversized jumper. 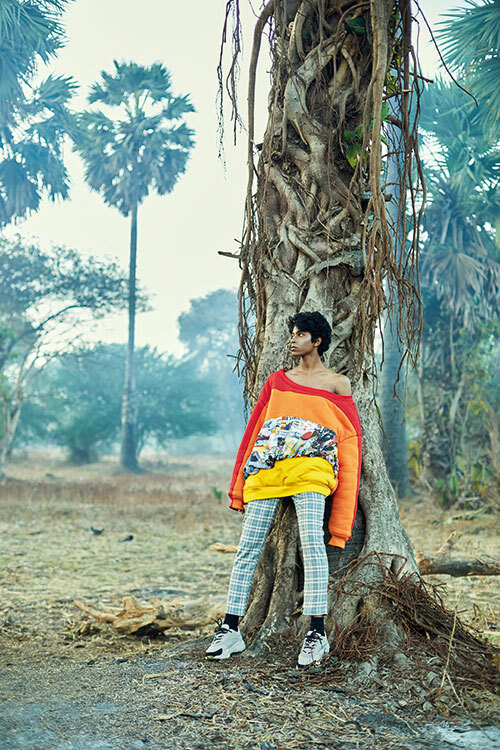 Double-breasted jacket, from Dior Men; waistcoat, shorts, both from Ashish N Soni; sneakers, from Fila; faux fur throw, stylist’s own. Style tip: Give a twist to a well-tailored classic suit with a nouveau pairing – short shorts. Pair it up with chunky sneakers for a weekend brunch party. Make sure that the hemline of your shorts in just above the knees. T-shirt, trousers, saddle bag, all from Dior Men. Style tip: Man bags are back this season. Think effortless shapes such as cross-bodies or fanny packs. Pair them with relaxed T-shirt and pants. Polo shirt, pants, both from Hermès; scarf, stylist’s own. Style tip: Coordinates are a no-brainer! But Spring runways are offering printed sets in bright graphics. 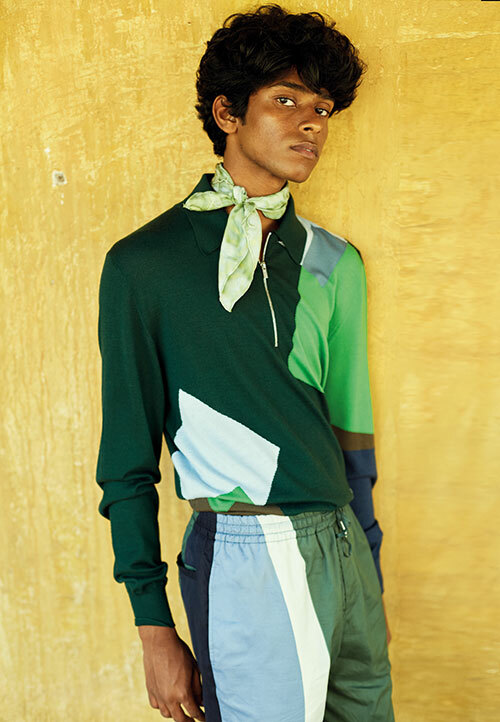 Make the look exciting by adding a neckerchief to the mix. 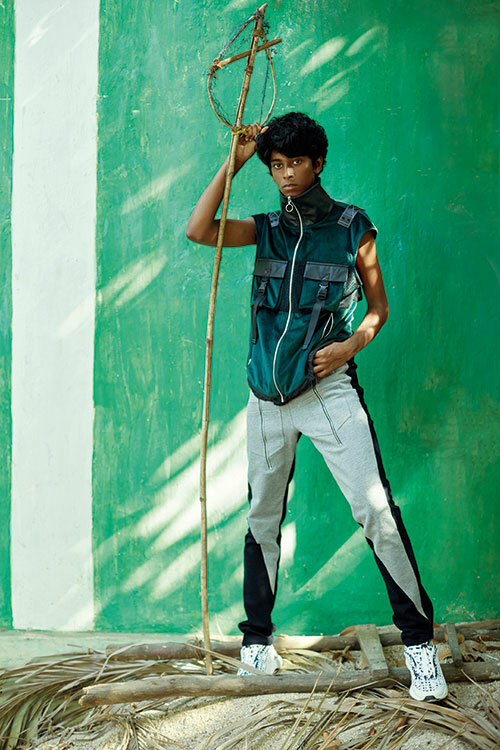 Velvet military gilet, from Nought One; jeans, from Huemn; sneakers, from Dior Men. Style tip: Functional and practical wear is ruling the runway. Think multiple pockets, drawstrings and zippers to create a utilitarian chic look. And this is a great way to carry all your essentials!